I keep seeing posts like, “Check out! Which profession suits you” or “Click to know how many kids you will have” or “Let’s tell you what age is best for you to get married” all over the place. It’s not that I’m surprised at the different “creativities”. . . what amuses me is the fact that people click on the apps to have a peep into their future (or am I mistaken?). Sometimes, I think to myself, “Maybe they see it as a game”. But you know what? I see it as a subtle form of sorcery which God hates. (You must be thinking that I’m too serious/uptight right now). Life is not a joke my friend. 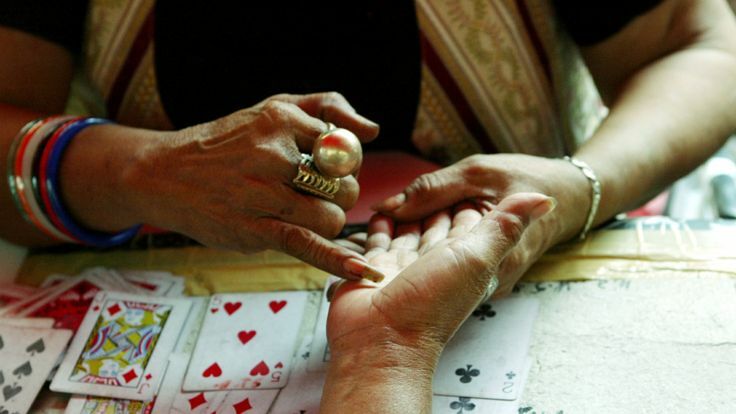 They know you won’t go to an herbalist or a palm reader if you are invited so they decide to make e-fortune tellers for you which you have no problem visiting (jokingly you say). I’ll use this opportunity to speak to those who don’t have a problem with writing the name of suitors (for marriage) and taking them to those who will tell them who the suitable one of them is. Whether you are a virtual or real life fortune teller seeker, you should watch it. You can develop a relationship with God who knows all things and can lead you on the right path. Look to God alone for direction. Cast your cares/worries upon Him for He cares for you. For example, never sacrifice your son or daughter as a burnt offering. And do not let your people practice fortune-telling, or use sorcery, or interpret omens, or engage in witchcraft, or cast spells, or function as mediums or psychics, or call forth the spirits of the dead. Anyone who does these things is detestable to the LORD. It is because the other nations have done these detestable things that the LORD your God will drive them out ahead of you. The nations you are about to displace consult sorcerers and fortune-tellers, but the LORD your God forbids you to do such things.” (Deuteronomy 18:10-14). I don’t know if you understand what I’m saying to you today but I’ve said to you what was impressed on my heart. . . May God increase your understanding and mine in Jesus’ name! I’ll close this with 1Peter 5:8 (AMP): Be well balanced (temperate, sober of mind), be vigilant and cautious at all times; for that enemy of yours, the devil, roams around like a lion roaring [in fierce hunger], seeking someone to seize upon and devour. Beware of the cunning and crafty one. . .